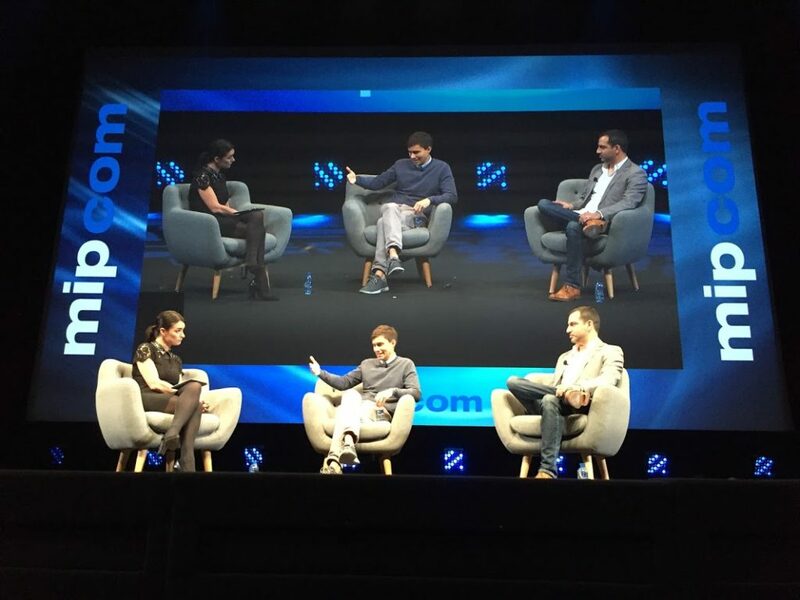 In today’s eagerly-anticipated keynote session, before discussing Facebook Watch, a show platform where anyone can create a show and share it on Facebook, Facebook’s video product director Daniel Danker (at right) shared data that explains the business logic. “Video is absolutely exploding on Facebook,” he began. “50 percent of all mobile data traffic is going to video; over the next few years it’ll grow to 75%.” Facebook videos are especially community-driven: “Watching video on FB has the power to bring people together, spark conversation and foster a sense of community.” In fact, 40 percent of total video time on Facebook is driven by sharing behaviour. 12 million people lived in the path of that eclipse… 29 million watched it together on Facebook, making it a genuine social experience, Danker declared. Comments and reactions occurring in real-time are part of what makes live so compelling. 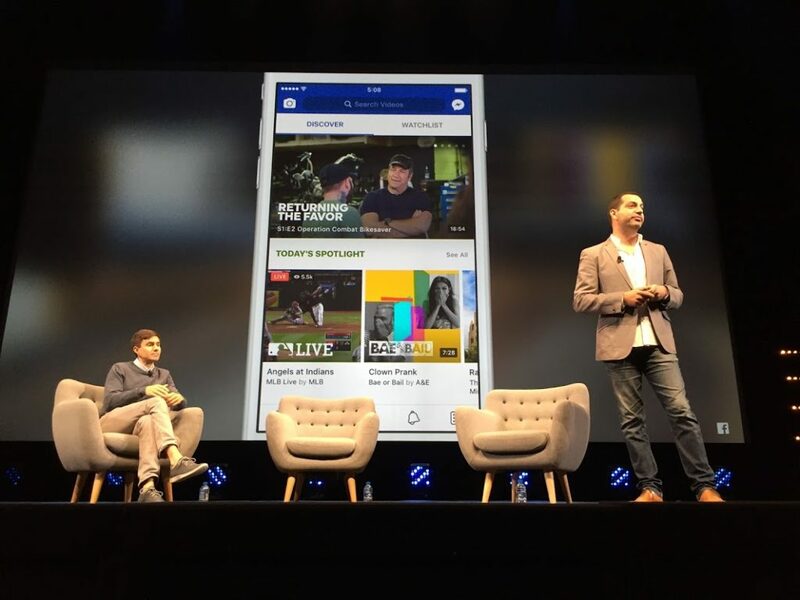 Per Danker, people comment 10 times more on a live broadcast versus on a regular video. With all that in mind, he then announced Facebook Watch, which launched in the U.S. about 6 weeks ago and is planning a progressive rollout. Shows are thus organised into sections built around community, with categories like “most talked about” or “what friends are watching”. Non-traditional formats. Video isn’t constrained by typical 30, 40 or 60-minute blocks. It can also use live, VOD, photos, text and polls to colour storytelling. Make Up or Break Up is about a couple having relationship trouble, and decides to crowdsource solutions. “This is a live show and it incorporates polling, so the couple gets real-time feedback on what to do next,” Van Veen said. Between the Scenes. Created alongside Comedy Central, these are the things that take place during the ad breaks of Trevor Noah’s Daily Show, when the cameras keep rolling and he just keeps chatting with the guests. He also announced a new upcoming show: An English-language adaptation of Norway’s Skam, available for the first time and exclusively on Facebook. The characters also all have Instagram and Facebook profiles; they interact with each other as though alive. “That’s obviously very compelling for us,” said Van Veen. Skam on Facebook will be created in partnership with Simon Fuller and its original creator, Julie Andem. Van Veen and Danker were then joined by Marjorie Paillon, journalist at France 24 and founder of I Love Productions, for a brief Q&A. Amongst a number of tough questions Paillon subjected them to, one of the first was what their long-term commissioning goal would be. Looking forward to watching how that goes!